Home / Flat Irons / What is The Best Flat Iron For Fine Hair? If you are into straight hair, you probably have been eyeing on Jennifer Aniston’s signature sleek straight hair from Friends for a while now. And perhaps you might have even tried recreating the infamous hairdo. Until your fine hair slaps you back with the truth. Lack of volume and bounce is the most common complains for fine hair when straightening it. Going to salon won’t help as some of their flat irons may be worn out and can ruin your naturally delicate hair. You have to understand that your fine hair adopts to heat easily. Simple act of straightening can create a havoc and damage to your hair. We are not saying you need step away from your hot tools. Of course we still need to look our best. That’s why investing in a right flat iron is the best thing you can do. Every iron is created and uniquely made for specific hair type and hair condition. You just need to find your right tool. What makes a flat iron a good buy? High heat temperature is a big no for a hair as fragile as yours. Hair specialists not go above 365 degrees F to avoid hair breakage. Thus you need to find a hot tool that has a wide adjustment from low to medium temperature setting. This range of heat setting allows your hair to retain its moisture and lacks in cuticle. While a lot of flat irons keeps on innovating and upgrading to meet your hair needs, you don’t need to splash a hefty amount of money to purchase one. Buying a cheap product but having to sacrifice quality is also not wise. What we are saying is, whether it’s a low cost or high end price, the tag should be at least reasonable along with the benefits the product offers. To help you step up with your hair game, we present this best flat iron for fine hair. We choose this product based on high performance and the benefits it could give to your oh so fine hair. 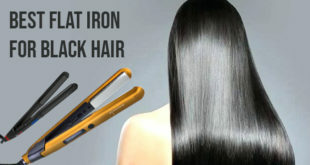 And we say top 5 best flat iron, we are speaking in behalf of honest customer reviews. So let’s get cracking! Best for fine to coarse hair with frizz This bestselling hair straightener in Amazon is the real deal. 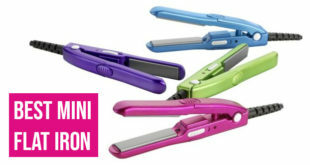 Highly in demand for a reason; it can straighten, flip or curl making it a 3-in-1 package deal. The only thing is it is sometimes sold out because of the budget friendly price. However, HSI tries to restock it from time to time so you can avail it anytime. Now let’s find out what the hype is all about. What’s to love about the product? Touched with ceramic and tourmaline, it can transform your dry frizzy hair into shiny straight hair in a lesser time. The plate is 1-inch wide so it could work on any hair length and is also ideal for creating volume and gorgeous curls. Everybody is loving the argan oil that’s pre-packaged in the box. It nourishes your hair and use for final touch up for a smoother finished. The 240F heat setting could reach all the way to 400F making it great for any hair type. No matter which part of the world you can always look at your best with this product’s worldwide dual voltage. Also comes with a pouch ready to be pack anytime. A heat-resistant glove is provided to prevent possible. Expect an outlandish smell from the first few use, probably emanating from the heat. No automatic shut off, so you have to be not forgetful in unplugging it. 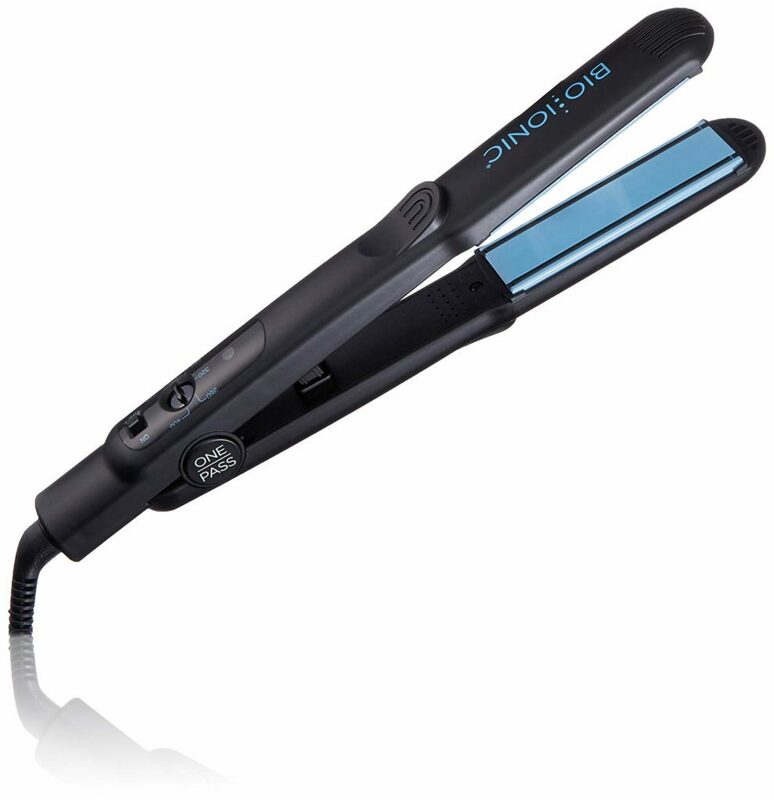 To sum it up this is one the best quality flat iron with the best price. There’s no other way to say it. The satisfied fine-haired customers say so. Straightening your fine can be a chore. You oomph it up it falls down, you straighten it up your curly mane and it tends to go back to its natural state because humidity is such a harsh mistress. But not with this tool! 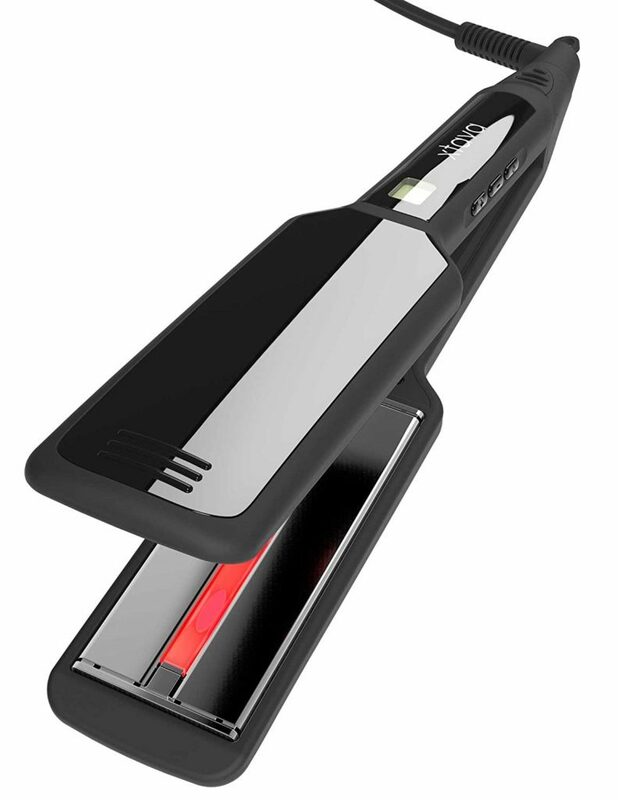 This new flat iron from Xtava takes pride in its advanced infrared heat emission that seals in cuticle for a shinier, frizz-free straight hair that last all day. It’s advanced infrared heat technology with enhanced microprocessor is what makes this product so versatile. The plate generates a far infrared heat for an even heat distribution. No more hair damage and “cold spots”, just a perfect looking straight hair. Combined with ceramic tourmaline technology, there’s no stopping you from achieving that salon-looking hair. This is by far the product only include the widest range of digital 10 temperature settings (265F-445F). The more control on heat temperature means the more you can create different hairstyles. The 2-inch wide plate could work on all hairs no matter what length. Heats up quickly, 90 seconds to be exact. Features a 60-minute automatic shut off so you can be ease whenever you are outside and forgot to turn it off. Includes a heat resistant case so you can store it immediately after use. The universal dual voltage doesn’t need pre-set up as it automatically switches to country’s standard voltage. Major complain is on the lock-switch button (power button) which is hard to operate. But according to users who figure it out, you just have to press the power button two times fast to begin using. Not to mention it doesn’t come with a manual that could have address everybody’s concern on the power switch. It is not back up with a manufacturer’s warranty. The 10 setting temperature setting and the 2-inch wide plate is what makes the product worth buying. It is very ideal for your fine hair of any type, length and condition. If you are into constant struggle in straightening your hair because of the time it took for you to get the job done, hassle no more. We found a great product that can straighten your hair in an average of 15 minutes. Highly favored by hair stylists, this product is becoming a favorite in hair salons not only because of its fast speed straightening process but also its ability to meet their clients’ satisfaction. The magic lies within those patented silicone speed strips which cuts down straightening time by gliding on the hair smoothly. Negative Ions penetrates hair moisture so as to eliminate unwanted frizz. Also infused with Nanolic Mineral that restore your dull-damaged hair back into its natural glow. Matched with Bioceramic heating element, the product promises an increased shine and smoothness from roots to ends. Customers are also amaze by the preheating time. It is so fast it feels like it’s almost in an instant. It heats up quickly and straightens your hair fast. Now that’s a lot of time to save on busy mornings. Multiple heat levels are featured in the heat setting with the highest temperature of 400F. Being that said, the heat levels and the easy maneuverability makes it possible to do not just hair straightening, but also for the purpose of curling and lifting volume on hair. Compliments are on the tool’s long span of usage. 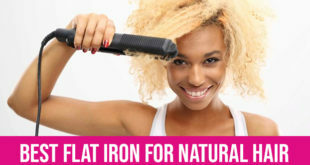 Several users claim they have been using the flat iron for years now. If you are into tight budget for flat irons, this product might be a bit pricy for you. It might leave burn smells on your hair. The silicone covered plates might not be best for ultra-thick hair strands as it hard to get a larger section of hair into the plate according to a user with a thick hair. This is like your “car race” in hair straightening. 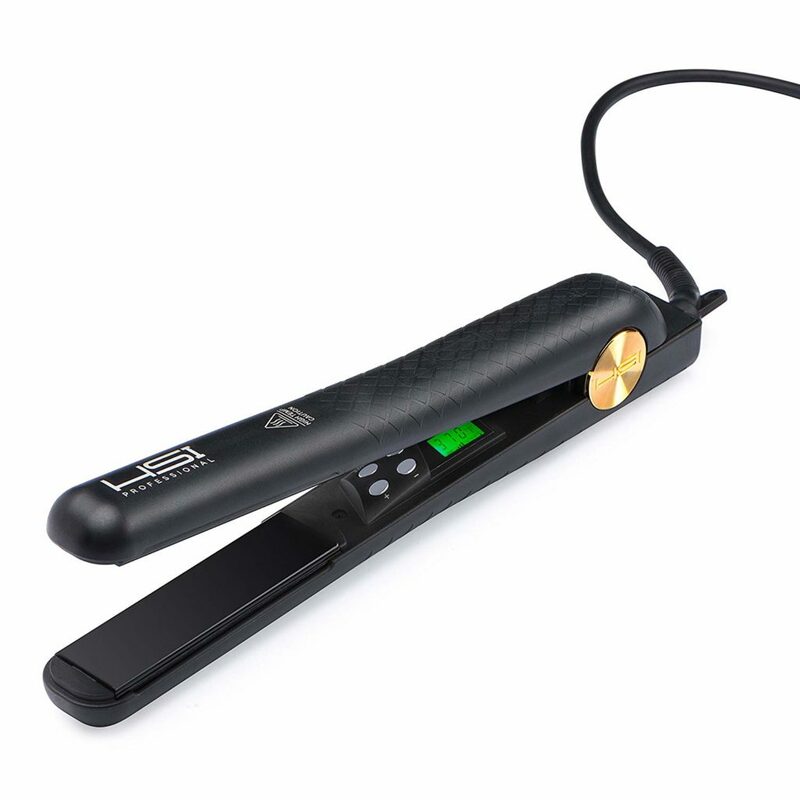 It heats up quickly and is dubbed as the fastest hair straightener ever. This bad boy is the game changer, definitely will make your investment worth it. This ultra-thin lightweight flat iron is a great option if you are into traveling. Just throw this baby in your bag and it could fit in easily. While the iron is as thin as it may seem it creates bigger result. This is because of the Nano-titanium plate that conducts heat perfectly gliding on your hair smoothly for a smoother silkier result. BabyBliss Pro harnesses the power of Nano Titanium that is known to be a great heat conductor. It straightens your hair fast and creates than long-lasting straight hair, good until your next wash. Depending on your hair length, you can choose from three available size: 1-inch, 1 ½-inch and 2-inch. Imagine the different hair style you can do with the 50 heat settings that could reach upto 450F. Rest assured that the metallic design can withstand ultra-high temperatures. Ergonomically designed, the iron is so easy to work with. 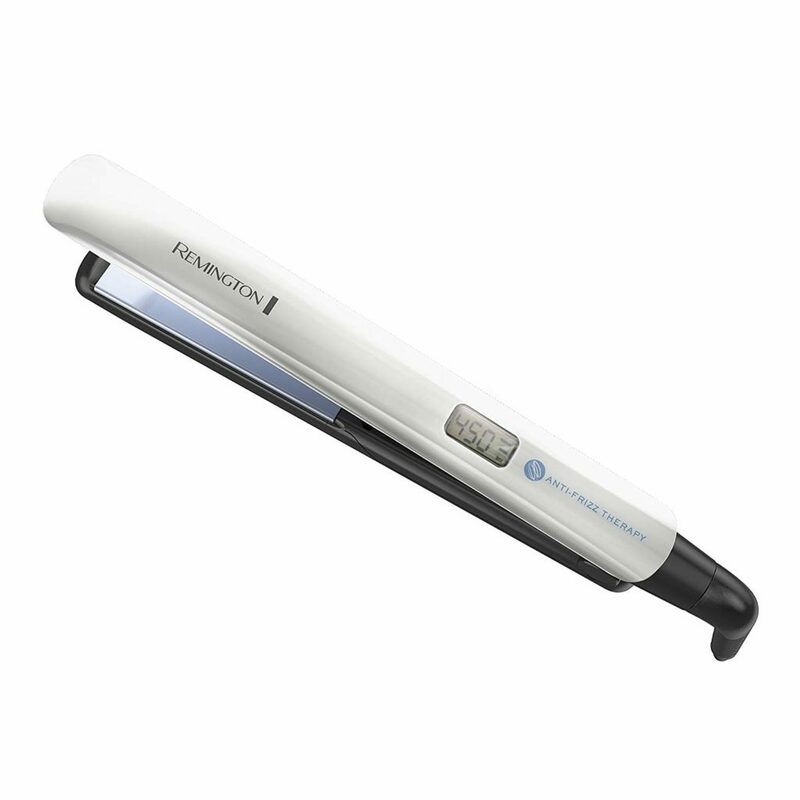 It is also super light and the 5-inch extended plate backs up the straightening time process. Now styling your hair is almost effortless! The lightweight and the slim design allows you to bring the product may it be for your travels or overnight sleepovers. The plate is also coat with ceramic for minimal heat damage. Our curly haired users are also amaze with astonishing results. There has been a lot of reports about fake models of the product being sold. You have to be careful and check the legitimacy of the seller. The metallic design is a bit slippery to hold. Low heat setting still can be hot for your fine hair. It is advised to not go above the 35 heat setting so as not to permanently damage your hair. This recommended product of most of hair experts when it comes to a hair straightener with high performance high end quality. In the end, all the benefits justify the price of the product. Because your fine hair is delicate in nature, you need to handle it as such. 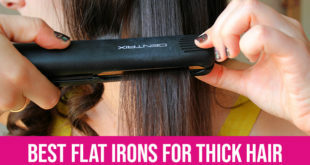 This flat iron from Remington exactly does that. The patented anti-frizz technology deep conditions your hair and straighten it with utmost care. Its greatest feature is perhaps the anti-frizz therapy that bathes your hair with micro-conditioners that guarantees a 65% frizz-free hair day by protecting it from humidity. The plates glides into our hair smoothly without pulling of the strands. 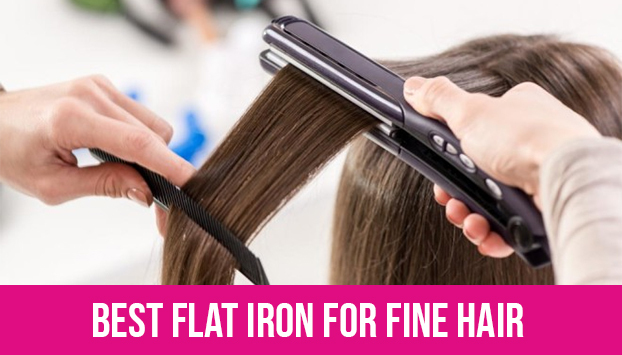 And it can uniformly straighten your hair sections in just one pass! The product mainly benefits damaged hair cause by excessive heat and overly processed chemicals applications. The plate is part of Remington Therapy Style collection that conditions your hair and restoring it back to full health. Also built in with ceramic for a glossier and luster looking finish. It amazingly heats up after 30 seconds. The digital display allows you to choose from different heat temperatures with the highest of 450F. Also shut off by itself after an hour of inactive use. The 360-degree swivel cord makes it easier for you to maneuver the tool. The plate and the plastic back are positioned with only a little gap which is unlikely. Few complaints are on the product completely shutting down after months of use. Do yourself a favor and treat your hair with anti-frizz therapy flat iron. It’s available at a low price with the benefit your hair could gain on it, it’s definitely a steal! We highly recommend Xtava Pro-Satin Infrared Flat Iron Straightener. This is a dream come true for your fine hair. The plate has the advanced infrared heat technology that releases gentle heat so you can glide it through your hair without having guilt of damaging it. There are 10 heat adjustments and a 2-inch wide plate making ideal for fine hair with any type and length. You may opt to choose within the lower temperatures though as your is delicate. This is not only a hair straightener but also your curling tool because of the ideal width of the plate. 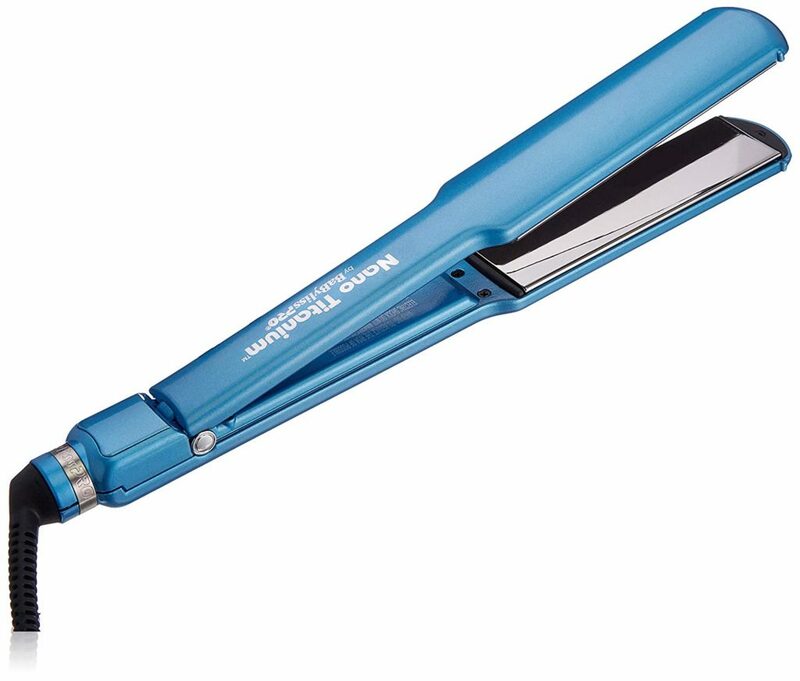 Available in economical price, it’s all we could ever ask in a best flat iron for fine hair. Need I say more? Ask the happy customers of the product. Here’s a review. In addition, it also gives you an overview. Enjoy!